BenQ has announced its new ultra-portable netbook – Joybook Lite U102, which comes with beautifully sculpted casing in polished obsidian finish. The new BenQ Joybook Lite U102 equipped with 10.1 inch UltraVivid widescreen display, Intel Atom N270/N280 processor, and Intel 945GSE Chipset. In addition, the Joybook Lite U102 also has built-in high-resolution 1.3 megapixel webcam, crystal-clear built-in speakers, and integrated microphone with smart noise suppression and echo cancellation. Furthermore, the netbook integrated bluetooth 2.1, wide-coverage WiFi, and optional high-speed 3.75G HSUPA connectivity, which has a shortcut key makes it easy to switch between Wi-Fi and 3G to expanded connection essentials. 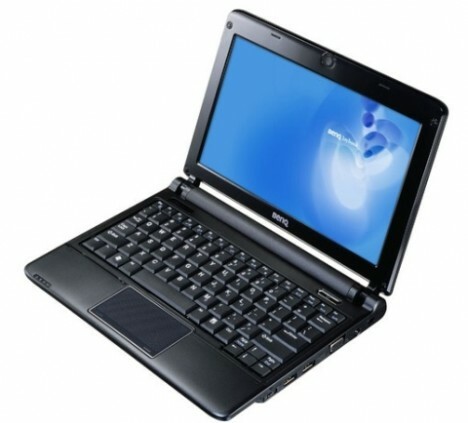 The netbook also comes with comfortably 90 percent of full-size QWERTY keyboard for more ergonomic, error-free typing, while an expanded touch pad makes scrolling web pages much easier. Apart from that, it also accompanied by an unusually petite AC adapter where light to tote at around 200g. The netbook measures just 260 x 186 x 18.5 mm and weighs only 1.05kg (with 3-cell battery). The new BenQ Joybook Lite U102 netbook currently available in Taiwan, China, and Thailand through selected leading retailer but the price has yet to be announced.